Tonight (8/17/2017) at the South County Civic Center in Delray Beach, Florida, Muslim Brother (Jihadi) Bassem Alhalabi will speak on “Human Rights” in Islam. The contrast would be comical if it were not so dangerous and the public were better informed. 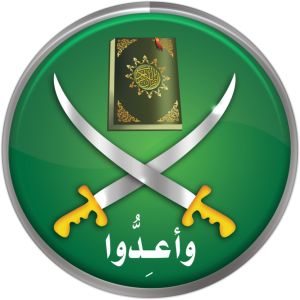 Bassem Alhalabi is the President of the Islamic Center of Boca Raton, which is a highly sharia-adherent mosque, and has leaders/attendees involved in the terrorist groups Al Qaeda and Hamas. Alhalabi is also currently a professor at Florida Atlantic University (FAU) in the Department of Computer and Electrical Engineering and Computer Science. Before arriving at FAU, Alhalabi was in Tampa at the University of South Florida (USF) working closely with convicted terrorist Sami al-Arian. Alhalabi co-authored publications with al-Arian and, when applying to FAU, he used al-Arian as a reference. PIJ is also a designated Foreign Terrorist Organization (FTO). Al-Arian was sentenced on May 1, 2006, to 57 months in prison. 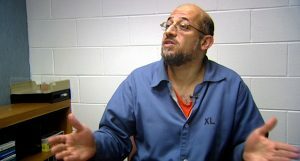 In addition to being a terrorist, Sami al-Arian was a tenured professor at the University of South Florida and taught computer science, like Alhalabi. Who sends thermal imaging equipment to a state sponsor of terrorism? A terrorist does. It is not clear why this was not a “Material Support for Terrorism” charge. The Alhalabi charging document from the U.S. Department of Commerce can be read here. The mosque publicly pleads ignorance. In 2007, Dr. Rafiq Sabir, an active member of the Islamic Center of Boca Raton, was convicted of Conspiracy to Provide Material Support to a Designated Foreign Terrorist Organization – Al Qaeda. On May 23, 2016, the Muslim Brotherhood’s Muslim Students Association (MSA) at FAU hosted a panel discussion which included Bassem Alhalabi. Alhalabi told the audience “Sharia is being practiced in the U.S. We at the Islamic Center of Boca Raton, we practice sharia.” He then explained to the crowd that amputating hands for theft is a good thing. UTT readers are aware sharia mandates jihad until an Islamic State (Caliphate) is established and sharia is the law over the entire earth. Jihad is legally defined as “warfare against non-muslims” in sharia. Since we know – because Bassem Alhalabi publicly said it – the ICBR is fully sharia adherent, we must define “Terrorism” as Islam/Sharia defines the word. In Islam, “Terrorism” is to kill a muslim for a non-sharia prescribed reason, ie to kill a muslim without right under sharia. Sharia prescribes when and how muslims may be killed: those who commit capital crimes in Islam (apostasy and adultery for instance), and a muslim who kills another muslim without right (for a non-sharia prescribed reason) may be killed. Any other killing of a muslim is “Terrorism” in Islam. So, of course they denounce terrorism. However, they are not referring to “terrorism” as defined by U.S. law. And they will never denounce JIHAD. In March 2011, Bassem Alhalabi was arrested in Boca Raton, Florida for assaulting Joe Kaufman, Chairman of Americans Against Hate, after Kaufman spoke in Tallahassee, Florida about the terrorism ties of Hamas leader Ahmed Bedier, a colleague of Alhalabi, and leader of the group United Voices of America. 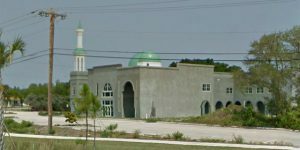 In May 2017 it was revealed the Islamic Center of Boca Raton recently paid $4.9 million for a 19 acre plot in Delray Beach, Florida. Wonder what the Muslim Brotherhood will use that for? Nothing good to be sure. At what point will citizens in Florida hold their local and state officials accountable for passing the buck while allowing terrorists like Bassem Alhalabi to walk the streets?